Welcome to Zuckerberg San Francisco General Hospital and Trauma Center. We provide inpatient, outpatient, emergency, diagnostic, and behavioral services for adults and children. Everyone is welcome here, no matter your ability to pay, lack of insurance, or immigration status. We’re much more than a medical facility; we’re a health care community promoting good health for all San Franciscans. We’re part of a large group of neighborhood clinics and healthcare providers, the San Francisco Health Network. In partnership, we provide primary care for all ages, specialty care, dentistry, emergency and trauma care, and acute care for the people of San Francisco. To serve the people of San Francisco, we’re embarking on a multi-year plan for capital projects as part of the city’s 2016 Public Health and Safety Bond. The $222 million bond will fund seismic retrofits in Building 5, which will upgrade the former inpatient facility to be safer and more resilient during earthquakes. Some health care programs will be relocated to Building 5 to improve patient care. They include: the Adult Urgent Care Center, Rehabilitation, Outpatient Dialysis, the Family Health Center, and the Public Health Laboratory. Speak with representatives from San Francisco’s Department of Public Health, Municipal Transit Authority, Public Works, Sheriff’s Department, and the University of California, San Francisco at our quarterly ZSFG Community Meetings. Learn more for our next community meeting. Manage your health by logging into your “MySFHealth” patient portal. 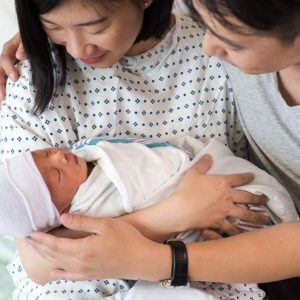 Considered the safest place to have a baby in California, and the only certified “Baby-Friendly” hospital in San Francisco. With over 1,200 babies delivered here each year, you and your baby will be in good company.